Steve Kerr and Tyronn Lue will meet for the third straight year in the Finals. The NBA Finals will be decided on the court by the players, but the chess match between coaches Steve Kerr and Tyronn Lue will be integral in giving their respective team the edge. This will be the third straight Finals featuring both coaches and each has gotten the better of the other so there will no shortage of familiarity. 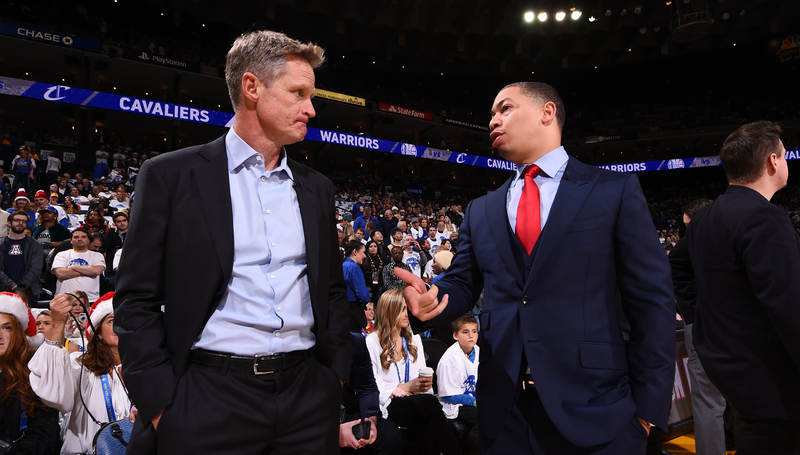 Here’s a breakdown of what to watch for in Lue and Kerr’s game plan. The Cavaliers coach has his work cut out, considering the talent gulf between the two sides. While Kerr has four All-Stars at his disposal, Lue has LeBron James and mostly role players. His only other All-Star, Kevin Love, is recovering from a concussion and may not be on the floor to start the series. On offence, expect Cleveland to use a similar approach to the one they utilised against Boston last round, which centred on LeBron drawing a switch against a small defender, usually Terry Rozier. The target in this series will be Steph Curry as LeBron seeks to overpower the guard, like he’s done in the past. It could also put Curry in foul trouble, serving as a double whammy. As a whole, the Cavaliers will need to toe the line in terms of pace. That means getting out in transition on Warriors misses and turnovers to catch them before they can set their defence, while also being wary of upping the tempo for the entire game, which plays into the Warriors’ free-flowing hands. Defensively, the Cavaliers may take a page out of Houston’s book and switch everything. To do that though, they’ll have to play Jeff Green more and Love less. It’s likely Cleveland won’t be able to use the Tristan Thompson-Love frontcourt much and Thompson would be the preferred option for defensive purposes. However, minimal gains on defence may not be worth sacrificing spacing around LeBron on the other end, so Lue could decide to play four shooters around James and hope Cleveland can score enough to keep up. Andre Iguodala’s knee injury makes Kerr’s job a little harder, with the forward’s absence robbing the Warriors’ of their best LeBron defender and leaving a hole in the lineup. Kerr has started Kevon Looney and rotated Jordan Bell, Shaun Livingston and Nick Young in as the fifth player alongside his stars, but he may need to keep his bigs on the floor more counteract Thompson off the offensive glass. Going small with Draymond Green at centre, however, would make it difficult for Love to be on the floor. As far as who to throw on LeBron, Kevin Durant did fairly well last year, although Kerr could change up bodies to keep his players fresh. The real challenge will be how to guard LeBron when he draws a mismatch and looks to post. The Celtics held their own in those situations by using a scram switch, which sees a bigger body on the weakside pull the overmatched defender off before or immediately after the entry pass. Golden State have the length and versatility to do the same, although James will look to punish the switch from the top of the key and near the perimeter, making the defensive strategy not as viable in those instances. On offence, Kerr has to resist going to Durant so often in isolation. That was a somewhat needed approach against the Rockets’ stout defence, but the Warriors should have no problem carving up Cleveland with back cuts and off-ball movement. Playing a grind-it-out, half-court slog focused on one-on-one play would even the playing field for the Cavaliers. 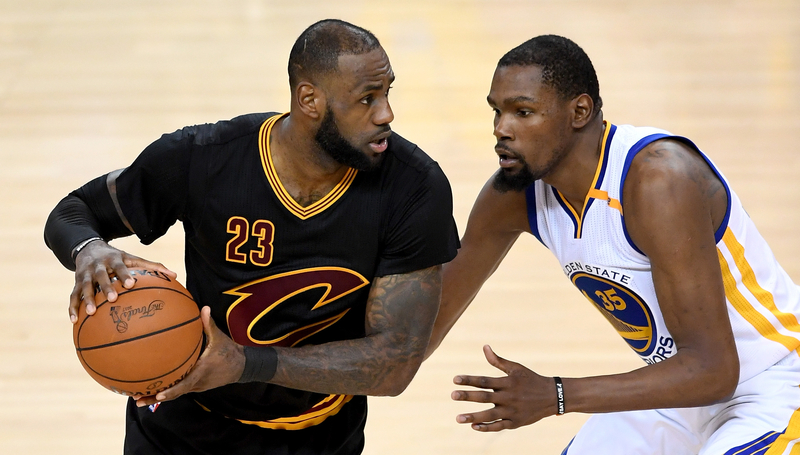 LeBron James and Kevin Durant will go head-to-head again in the Finals. There will be an abundance of star power in the NBA Finals, although most of it will be concentrated on one side. The Golden State Warriors will not only have four of the five best players in the series, but their four pillars are arguably among the top 20 players in the entire league. 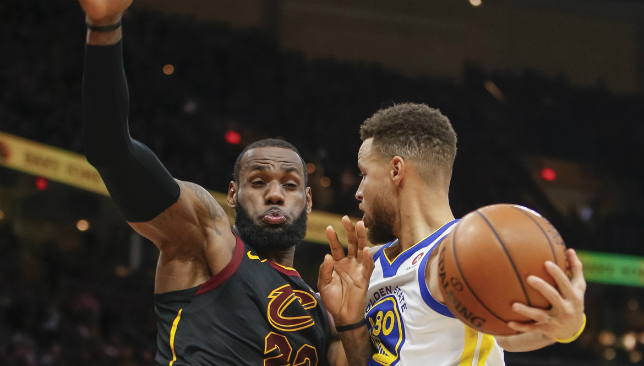 However, the best player in the world still resides in Cleveland and as long as LeBron James is around, the Cavaliers have a shot at taking down the Warriors’ uber-talented group. Here are the four key match-ups that will decide the Finals. What more is there left to say about LeBron and his singular impact? His presence alone gives Cleveland a chance and until he’s dead and buried, it’s foolish to count him out. That said, James is up against a mountain of a challenge in the Finals, even more so than he was back in 2015 with an undermanned Cavaliers side. He’s been doing it all for Cleveland in these playoffs, but he’ll have to somehow go to another level to beat Golden State. That starts on the defensive end where he can’t take plays off and has to slow down Durant. LeBron is the best player in the world, but Durant was arguably the best player on the floor in last year’s Finals. James was matched up on him for much of the series and even he had no answer for the Warriors’ forward, who averaged 35.2 points on 55.6 per cent shooting, including 47.4 per cent from deep. 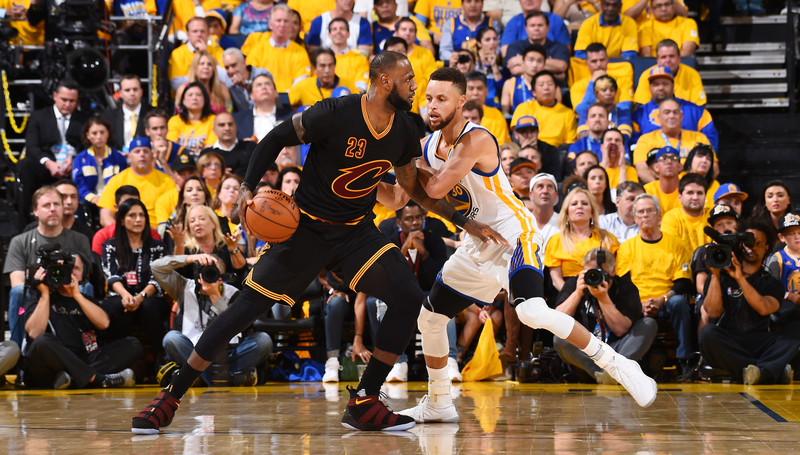 Golden State have been using Durant in isolations more than ever in the playoffs, but that may play into LeBron’s hands instead of running him off screens and making James exert defensive energy. If it wasn’t obvious before, it certainly is now after the Warriors’ run to the Finals: the offence is at its best and retains its identity most when Curry is heavily involved. That means running the guard off both ball and off-ball screens to get the defence over-committing to his ability to launch from distance. The gravity he commands on the perimeter is second to none and that in turn opens up opportunities for the rest of the team. 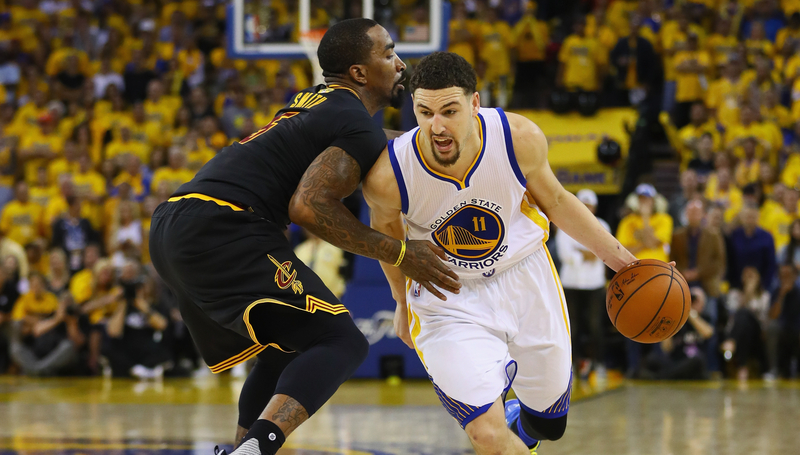 And fortunately for Golden State, the Cavaliers have no lock-down perimeter defenders. Hill is capable of making life difficult for opposing guards, but he’s been hit-or-miss on the defensive end during his stint in Cleveland. For the Cavaliers to have a legitimate chance of winning the series, Hill will be crucial on both ends – he’ll have to neutralise Curry as best as he can, while also having an aggressive mindset as a ball-handler. With LeBron hunting Curry and Golden State preferring not to get caught on that mismatch, Hill should have plenty of space to operate with the defence going under the screen when he has the ball. Like Curry, Thompson is essential to the Warriors’ signature style and his success is even more tied to their fluid attack because he’s so deadly without the ball. The Houston Rockets decided to switch everything last round and they still struggled to contain Thompson at times, who needs just a sliver of space to catch and release. He’ll put extreme pressure on the Cavaliers to defend with discipline, focus and communication, otherwise they’ll be picked apart. There are few players in the NBA more head-scratching than Smith, who on one night can look like a 3-and-D stud, and on the next be a total disaster. Needless to say, the Cavaliers need the good J.R. Smith to show up in the Finals and defend with purpose, while shooting a good percentage on the other end. His shooting is incredibly streaky, so it’s possible he could win Cleveland a game or shoot them out of the series. His numbers don’t jump off the page like the Warriors’ other stars, but Green is necessary to what Golden State want to do on both sides of the ball. Defensively, he’s the quarterback and directs rotations, while on the other end he’s a primary playmaker and distributor. Cleveland will almost surely leave him wide open and dare him to shoot – Green is hitting just 27.7 per cent from 3 in the playoffs – but he won’t need to force it for the Warriors to put up points. Love’s status for the opener is up in the air as he continues to recover from a concussion, but he’ll likely return at some point in the series. When he does, he won’t have much time to reintegrate as he’ll be needed to help alleviate the offensive load on LeBron. Love will have to be more efficient than in past two Finals though, when he shot under 40 per cent.